Earning a college degree is still the most reliable way to improve your career opportunities and earning potential. 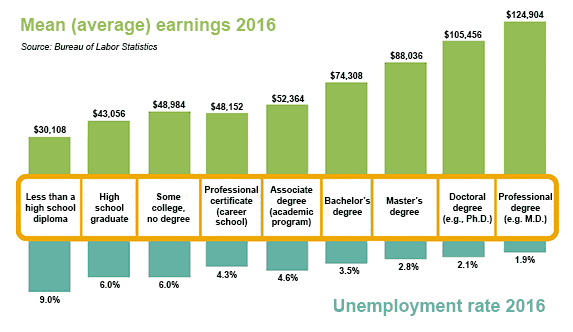 As the following chart shows, college graduates earn more than non-degree workers and experience lower rates of unemployment. Once you've made the decision to pursue a college education, it's time to figure out exactly what type of degree to pursue. There are a variety of college degrees and each has advantages and disadvantages. There isn't just one "right" type of college degree. The value of a college degree is a function of what the college degree offers you. Your job is to determine which college degree, or certificate, best helps you achieve your personal, educational and career objectives. For example, if you want to become a doctor, earning a bachelor of arts in history probably isn't going to be as beneficial as an undergraduate degree in biology that will prepare you to take the MCAT. But then again, if you're passion is history, maybe minoring in history and majoring in biology is the winning combination. If you want to pursue a career in business, then a Masters of Business Administration (MBA) would be the logical choice, right? Surprisingly, many successful businessmen and entrepreneurs never earned an MBA. There are many educational paths and choices to consider. Below we'll outline and discuss the different types of college degrees and help you begin exploring your options. Earning a college degree isn't always the answer. Sometimes a professional certificate makes a lot more sense – especially if your decision to pursue a higher education is based on economics. Career success can often be obtained as easily with a professional certification as it can with a traditional college degree – especially in highly technical fields where employers are more concerned with your skill set than your college credential. Earning a professional certification is also a lot less expensive. Unlike undergraduate degree programs, many of which focus on liberal arts education, professional certification programs focus almost exclusively on skills development – skills that are directly relevant to peforming a specific job or function. On the downside, some certification programs are so narrow in focus that they miss the depth and well-rounded education provided by a college degree. Still, one educational path is not necessarily better than the other – they simply offer different benefits. 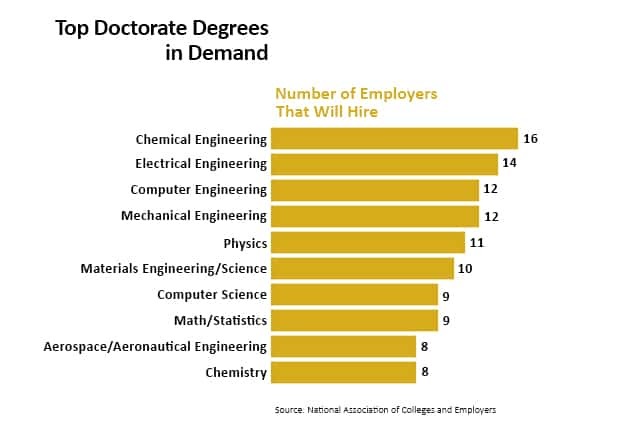 If you want to become an electrical engineer, a college degree makes more sense than a professional certification. If you want to become an electrician, all you need is a professional certification. A professional certification is typically a lot more economical than a college degree. Where a professional certification can run anywhere from $5,000 to $15,000, a college degree typically costs two to three times that amount. On a dollar for dollar basis, a professional certification may make a lot more sense. The economics of earning a professional certification make even more sense when you consider that many professional certifications these days can be completed in just a year or two and can prepare you for a career just as effectively as a more expensive "traditional" four-year college degree. In many trades, certification or "licensing" is a requirement of employment. In some vocational occupations, professional certification and licensing are synonomous. Certification and licensing requirements are regulated on a state by state basis. In many states, professional certification is a prerequisite for licensing. In others, it's part of the licensing process itself. Before deciding on a professional certification, or college degree, you'll want to be clear in your own mind what your career objectives are and thoroughly investigate all educational, certification and/or licensing requirements. When people loosely refer to a "college" degree, more often than not they're referring to a four-year, undergraduate bachelor's degree. However, there are several categories of undergraduate degrees, which also include associate degrees. Undergraduate degrees are also referred to as post-secondary degrees. That is, they are degrees earned after completedly a secondary education (ie., high school diploma or GED) but before a graduate degree. Undergraduate degrees – bachelor's degrees in particular – usually have a general education, elective and core (major) component. General education curriculum focuses on a breadth of higher education subjects and skills including writing, mathemathics, history and science. Core curriculum includes major coursework required to become proficient in a specific area of study. Elective curriculum, while in line with a student's major, is chosen independently by each student. Undergraduate students attending the same college, regardless of their major, are typically required to complete the same general education courses. Major courses are determined by individual departments and academic colleges. Elective courses are chosen by each student under the guidance of their major department and an academic advisor. There are two types of undergraduate degrees recognized in the United States: Associate and Bachelor. Associate degrees are offered primarily through community colleges. There are however a few vocational schools and four-year colleges that also offers associate degrees. Earning an associate degree typically requires two years of full-time study. Associate degrees are designed to prepare students for a career, or qualify to pursue a bachelor's degrees. Associate degrees designed to prepare students to pursue a bachelor's degree at a four-year college or university are known as transfer degrees (or academic degrees). Associate degrees designed to prepare students to pursue career opportunities upon graduation are sometimes referred to as occupational degrees. Bachelor degrees are offered by major colleges and universities and are four-years in duration. Bachelor's degrees can be career focused or designed to prepare students for graduate school. Students often pursue an associate degree for one of two reasons. First, to prepare for a career. Second, to prepare to attend a four-year college where they can earn a bachelor's degree. An associate degree that is used as a stepping stone into a bachelor's degree program is often referred to as a transfer degree. Not all associate degrees can be used as transfer degrees, and not all colleges that offer associate degrees offer transfer degrees. The key to a transfer degree, is that it transfers. Regionally accredited colleges and universities (which include most major colleges and universities int he United States) typically only accept transfer credits from other colleges and institutions that are regionally accredited. That means in order for the credits earned through an associate degree to be transferrable, they must be earned at a regionally accredited community college. If there is any chance you'll pursue a bachelor's degree after completing your associate degree, you'll want to make sure you earn your associate degree from a regionally accredited higher education institution. When awarded by a regionally accredited community college, the credits earned through an associate degree will usually fulfill many of the general education requirements of a 4-year bachelor's degree. When selecting a community college to earn a transfer degree, make sure it is regionally accredited and that you check with the 4-year college you want to attend after you graduate to make certain the credits you earn through your associate degree will transfer. Associate degrees are two-year undergraduate degrees awarded by community colleges, vocational schools, and small number of four-year colleges and universities. A few schools offer accelerated associate degree programs that can be completed in less time. There are several benefits to earning an associate degree before earning a bachelor's degree. One of the biggest benefits is the lower cost of credits. Many students will complete an associate degree and then apply their credits toward the completion of a bachelor's degree, whereby lowering their overall cost of earning a bachelor's degree. As long as the associate degree is awarded by a regionally accredited community college, the credits should transfer to a four-year college or university. Associate degrees are also ideal for students who want to prepare for entry-level career positions in as timely a fashion as possible. Associate degrees offered at vocational schools and technical training centers are often very skills oriented. These programs are laser focused on helping students acquire the knowledge and skills necessary to qualify for entry-level positions following graduation. Associate degrees that are intended to help students prepare for a career are sometimes referred to as occupational degrees. Nine times out of ten when someone says they're going to earn a "college" degree, they're talking about a four-year bachelor's degree. The bachelor's degree is an undergraduate degree awarded at four-year colleges and universities throughout the United States. 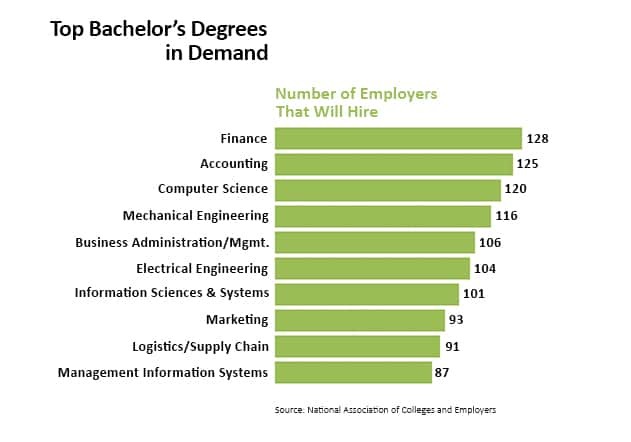 It is the degree of choice among employers seeking college educated applicants to fill entry-level positions and the most popular of undergraduate degrees. A traditional bachelor's degree has three components: general education, core courses and elective courses. General education curriculum is usually the same for all students attending a college or university, and often has a liberal arts focus. Core courses are major specific and designed to help students become proficient is a specific field of study or discipline. Elective courses, or "electives", are selected by each individual student – with the assistance of an academic advisor – and typically focus on a student's major. Students' who have completed an associate degree at a regionally accredited community college, are often exempt from completing a majority of the general education requirements for a bachelor's degree. A traditional bachelor's degree program takes 4 to 5 years to complete. There are however many bachelor's degree programs that can now be completed in less time. Accelerated bachelor's degrees can be completed in as little as three years. Accelerated degrees are often offered via online distance learning. Earning a bachelor's degree is usually a prerequiste for attending a graduate school or post-graduate professional program. A graduate degree is an advanced degree that focuses on a specific academic field of study or professional discipline (ie., Law, Medicine, Business, etc.) The general prerequisite for most graduate degree programs is a bachelor's degree – often in a related field of study. Historically, graduate degrees were academic in nature, and research oriented. Today, most graduate degrees focus on applied sciences and are professional in scope and nature. Many graduate degrees have a split focus between academia and industry. A graduate degree can take as many as eight years to complete, or as little as two. Unlike undergraduate degrees that have a general education component, graduate degrees offer a much more indepth disciplinary focus. In addition, the expectation for graduate students is much higher than it is for undergraduate students. Graduate students are expected to produce a much higher standard of academic work and perform independent research. Graduate programs are more competitive than undergraduate programs. Not only is getting accepted to a graduate program competitive, the programs themselves are quite competitive. A master's degree is a graduate degree students often pursue following the completion of a bachelor's degree. Even though a master's degree is more rigorous than a bachelor's degree, it typically only takes two years to complete, compared to the four years required to complete a bachelor's degree. A master's degree focuses on a specific discipline or area of study and does not have a general education requirement. Most master's degrees are professional in nature, designed to help students develop advanced skills that will help them in their career. 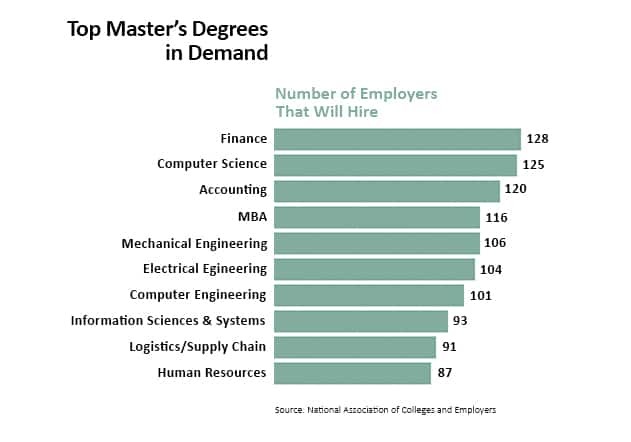 More and more employers now seek applicants with a master's degree. A doctoral degree is a graduate degree, somewhat similar to a master's degree. However, where most master's degree take two years to complete, a doctoral degree may take anywhere from two to six years to complete. The prerequiste for most doctoral programs is a master's degree. There are a few doctoral programs that will also accept students with a bachelor's degree as long as they meet other admission criteria. A doctoral degree is referred to as a "terminal degree" when it is the highest degree that can be earned within a particular field of study. Most doctoral programs are challenging, rigorous, and require a full-time commitment. Historically, doctoral degrees have been academic and research focused. Today, most doctoral programs focus on helping students acquired advanced skills sets and knowledge to prepare them for a specific occupation or specialty. Professional Doctorate - The professional doctorate is designed to help students gain advanced skill and knowledge in preparation for a specific profession. The Doctor of Business Administration (DBA), for example, is a popular professional doctorate degree designed to prepare students for careers in business. Research Doctorate - As its name suggests, the research doctorate focuses on research. Students who earn a research doctorate typically go on to perform research in academia, for government, or in the private sector. The Ph.D. and Doctor of Philosophy are the two most popular research doctorates. Higher Doctorate - The higher doctorate is less common than either the professional doctorate or research doctorate. In fact, this doctorate is not common in the United States. The higher doctorate is a tiered research degree common in countries including the United Kingdom, France and Ireland, among others. Honorary Doctorate - The honorary doctorate degree is awarded to honor or recognize individuals that have demonstrated superior achievement or contribution within particular field or discipline. Honorary doctorates are only offered by a few universities in the United States. Another common graduate degree is the professional degree. A professional degree is a graduate degree that is a prerequisite to becoming licensed to work in specific field. The most common examples of professional degrees include medical degrees required to become a medical doctor and law degrees which are required to practice law. Professional degrees are also offered in several other fields, including psychology, finance, business and engineering. A bachelor's degree is the standard prerequisite to entry into most professional degree programs. A few professional degree programs require a master's degree. Professional degrees are also known as "First Professional Degrees". A specialist degree is a graduate degree that professionals pursue after completing a master's degree. Specialist degrees serve two purposes. They allows professionals to obtain additional expertise and knowledge in a specific discipline. They also provide professionals with industry level certification required for state licensure. In the public school system, a principal is often required to obtain an Ed.S. degree in order to practice. An Ed.S. degree is an example of a specialist degree.